Dolly Parton is a living legend. With a musical career spanning nearly six decades, she shows no signs of slowing down. At heart she will always be a country singer with a story to tell, but because she has spent so much effort trying to cross over to the mainstream, her persona has often obscured the staggering force of her talent. Blue Smoke is her 42nd studio album, and it's a concise snapshot of her epic oeuvre to date. As always, Parton shines brightest when she falls back on her bluegrass roots. 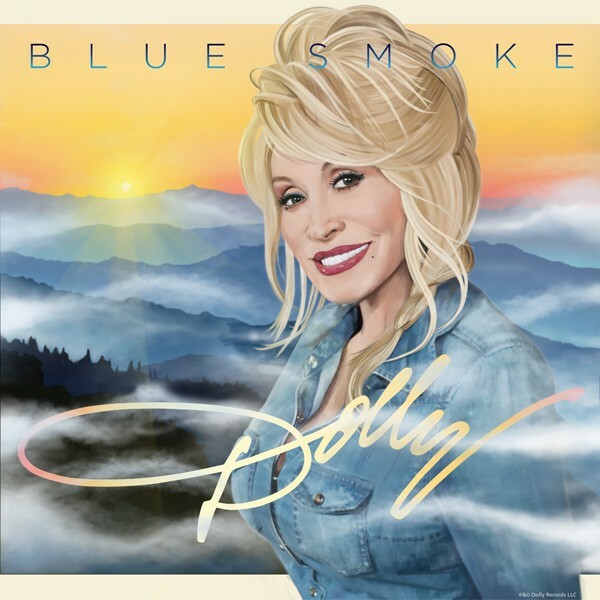 Blue Smoke offers a rare glimpse of an unfettered Dolly with tracks such as the Parton original "If I Had Wings" and her renderings of the traditional "Banks of the Ohio" and Bob Dylan's "Don't Think Twice." The album is also heavy on the alt-country and pop sound that Parton has honed over the years. She covers Bon Jovi's "Lay Your Hands on Me," giving the song a gospel twist, and unfortunately seems to throw everything else at it, too, resulting in a track that's clearly intended to be rockin' but ends up just being noisy. "Unlikely Angel," "Home," and "Try" stay more firmly on the alt-country side of the fence and are sure to please super-fans. Parton reunites with Kenny Rogers for the duet "You Can't Make Old Friends" that may as well be a slowed-down "Islands in the Stream," but her duet with Willie Nelson on "From Here to the Moon and Back" is truly sweet. The album even throws in a little honky-tonk with the humorous "Lover du Jour."